Rachael Ray Cucina 10 Piece Bakeware Set Only $54.99! Down From $120! 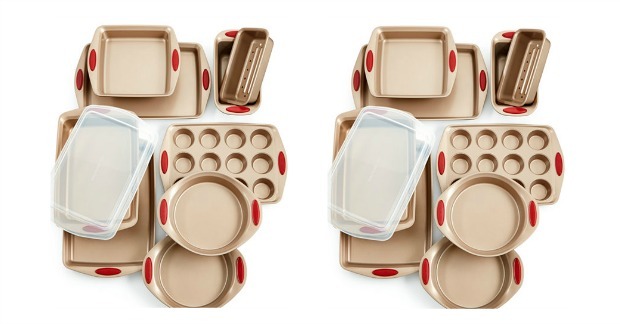 You are here: Home / Great Deals / Rachael Ray Cucina 10 Piece Bakeware Set Only $54.99! Down From $120! Macy has this Rachael Ray Cucina 10 Piece Bakeware Set on sale for $99.99 (Reg. $120) but you can get this set for only $54.99 when you use promo code and HOME (15% off) and submit the Mail-In Rebate! Wow!